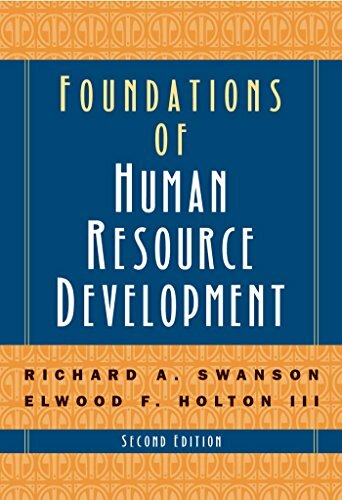 In Foundations of Human Resouce Development, Richard Swanson and Edward Holton provide an up-to-date overview of the HRD profession as well as the terminology and processes required for sound HRD research and practice. Swanson and Holton’s work is supplemented with contributions from Alexandre Ardichvili, Theo J. Bastiaens, Thomas J. Chermack, Richard W. Herling, K. Peter Kuchinke, Sharon S. Naquin, Wendy E. A. Ruona, Richard J. Torraco, Greg G. Wang, and Karen E. Watkins. The book provides a basic understanding of the HRD models, processes, and history; critical theoretical and philosophical foundations of the field; learning and performance paradigms and models; HRD’s role in high-level organizational and systems-level issues; training and development and organization development—including examples of best practices along with variations in core thinking, processes, interventions, and tools; and much more. The first edition won the Book of the Year Award from the prestigious Academy of Human Resource Development. This second edition has been completely revised, updated, and expanded, with new chapters on component HRD theories, policy and planning, technology, and globalization, as well as supplemental study materials, PowerPoint presentations, and figures available online at www.textbookresources.net. If you have any questions about this product by Brand: Berrett-Koehler Publishers, contact us by completing and submitting the form below. If you are looking for a specif part number, please include it with your message.